Matantei Loki Ragnarok Wallpaper: Ride the Pig, Loki! 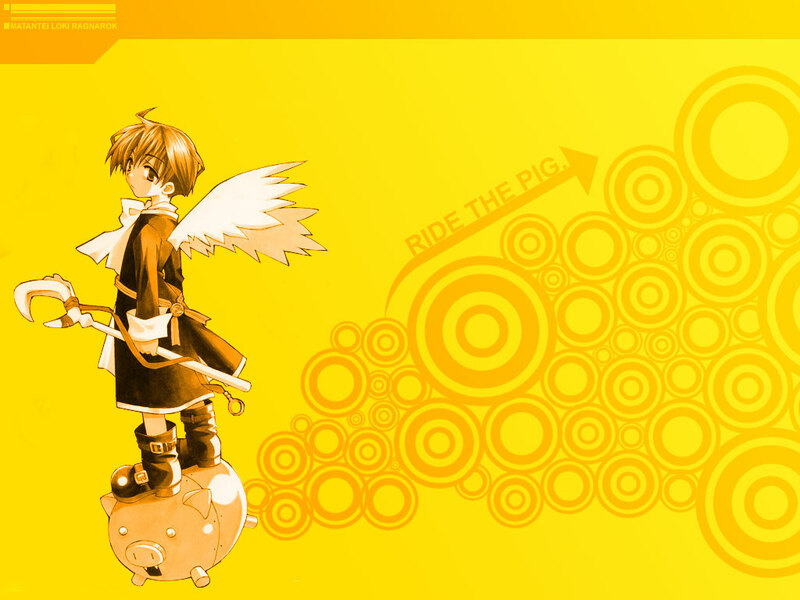 Minitokyo »	Matantei Loki Ragnarok Wallpapers » Matantei Loki Ragnarok Wallpaper: Ride the Pig, Loki! nice wall one of the first animes I'v seen, like the backround and is he doin on gullinburusti lol. This one is almost a little too yellow for me to handle, but luckily Loki is really dark. XD I really like the use of the brushes, I think I'm going to have to get the brushpack now, although I'm not sure what I will use them for. It's soyellow and bright, my eyes hurt! the pig look's funny. It's yellow.... and yellow...and cute!